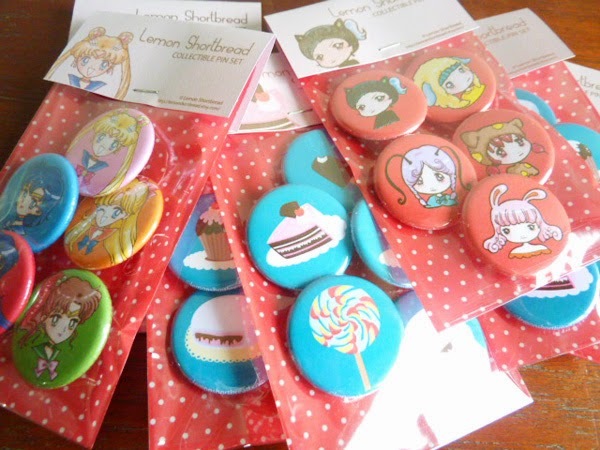 Pink Lemonade Stand by LemonShortbread: NEW PINS RELEASE - SAILORMOON, DESSERT, CUTE CHARACTERS! 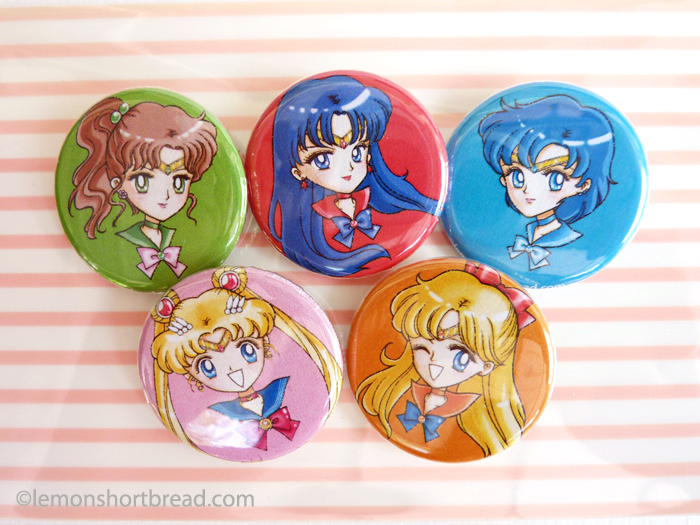 NEW PINS RELEASE - SAILORMOON, DESSERT, CUTE CHARACTERS! 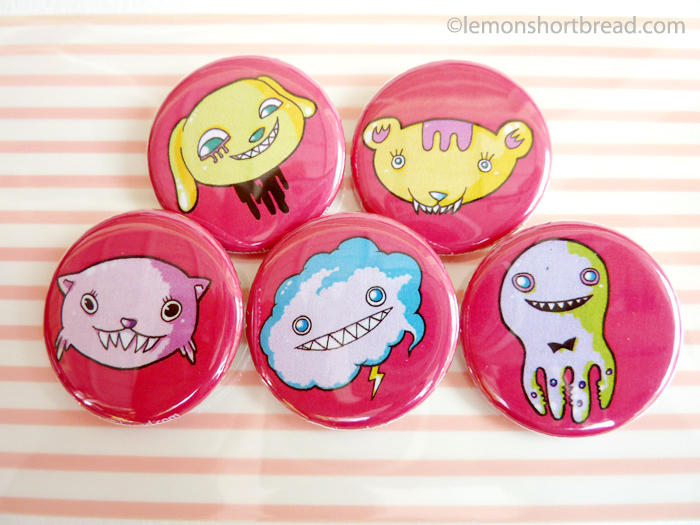 Small run of new kawaii pins release, made in USA, metal backs 1.25". All are original art, except Sailor Moon and friends, which are fanart! 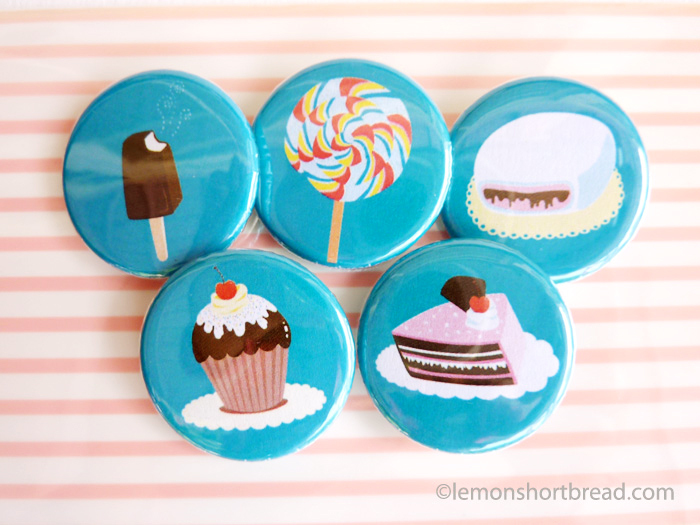 The dessert set is a different edition from my last one that was released in 1" set of three; there is an additional two candy pins now to standardise the numbers. Three themes have been released before in 1", but I thought they were a little too small for the details to be seen so decided to make them bigger. 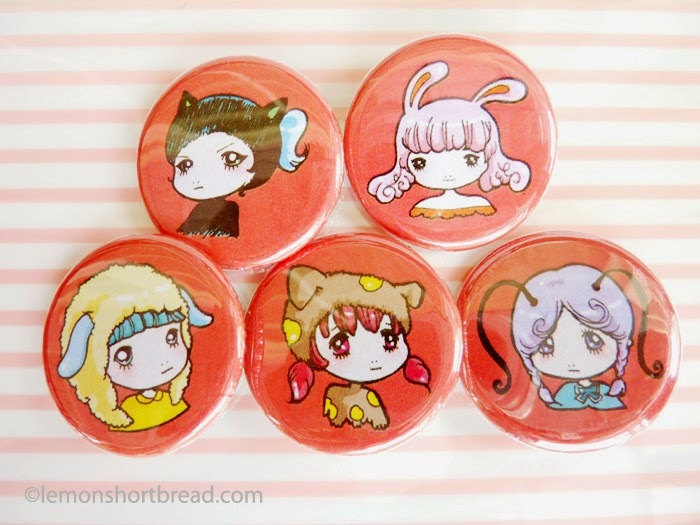 Each set comes with 5 buttons, I have a few loose ones from unmatched sets, so if you just want a particular character, we can arrange something too - just convo me on Etsy or leave a comment.